The theme of the Earth Hour exhibition is ‘Crack’ which evolved out of a discussion about cracking ice at the North Pole, cracking rock and went on to encompass cracks in society, boundaries, borders, migrations, refugees and beyond. The exhibition is a response to the theme from local artists in the context of a changing world both environmentally and socially. It is an exciting artistic expression of their thoughts and feelings in a range of artistic forms including poetry. On the same evening we are lucky to have Kate and Andy Benham who founded South Devon Wine Tours to introduce us to our local vineyards and a selection of local wines. As a result of climate change and the temperate zone moving towards the poles, the wine industry is flourishing in the South of England. By contrast, in many parts of the world it is suffering great losses. 8.30-9.30 Earth Hour. Lights out and poetry reading by candlelight. Both workshops are recommended as 2nd week will be finishing and grouting. Beginners welcome but there is a minimum age of 8 and all children have to be accompanied by an adult. Coffee and Tea provided. At last – a hugely positive, affirming and inspirational film! At last a film offering solutions rather than just problems. From around the world it brings us the many creative solutions people are finding to meet the challenges we face in the fields of food, energy, transport, economics and education. Tomorrow has been a huge phenomenon in France; launched in December 2015, it has been watched by over 1.5 million people and won Best Documentary at the Cesar Awards (the French Oscars). The film premiered in Paris during the COP21 climate talks and had its British premiere with simultaneous broadcasts in Totnes, Todmorden and Bristol on 24th January 2017. Now it has come to Teignmouth as all good things must. 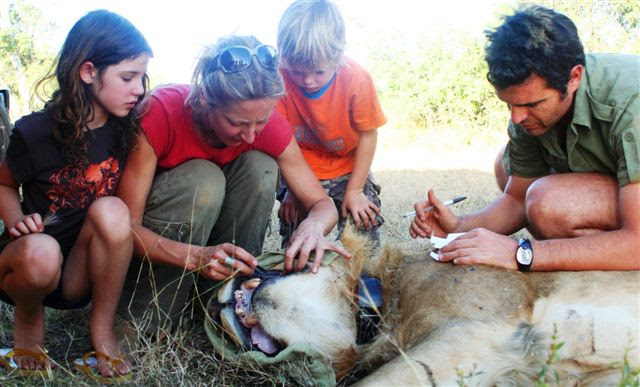 Dr Alayne Cotterill is an ecologist working in Kenya to secure ways in which some of the last remaining large land predators, lions, can survive amidst an increasing human population. Alayne founded Lion Landscapes which is ‘an independent lion conservation organisation, operating in Africa, that increases the capacity of local partners to secure viable populations of lions and other large carnivores. 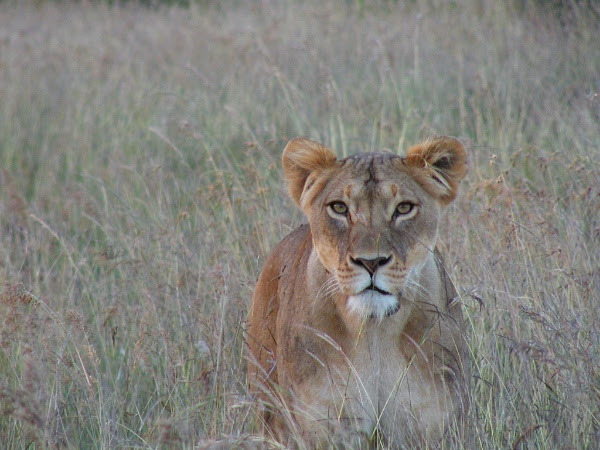 Lion Landscapes focuses on lion research, capacity building and innovation.’ www.lionlandscapes.org. Alayne’s work brings her into constant contact with local people, both landowners and pastoral tribes as well as lions. Alayne has lived and worked in Kenya for the last 12 years; she and her family have recently bought a house in Teignmouth where she went to school as a child. Feel we need to reduce our dependence on fossil fuels? Feel we need to take action locally? Feel more could be done with community buildings? Short talk about what we’ve already achieved, followed by a discussion about community energy. Come and be part of the local energy solution. And all this over a free coffee or tea! Would you like to learn how to weave a beautiful natural willow platter? 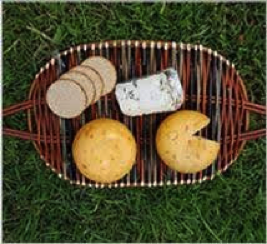 Perhaps a platter for cheese and bread or to use for protecting your table from hot dishes. Cost: £10 tuition which includes materials. What to bring: old apron, secateurs if you have any. Limited numbers so please book 078120 13488 to secure your happiness. In this talk he will travel from some rather unseasonal fruit in his Teignmouth back garden through over 100 years of Teignmouth and world weather records to see what our small corner of the world can tell us about climate. By Phil Cross in Climate, Energy, General news on March 15, 2017 .